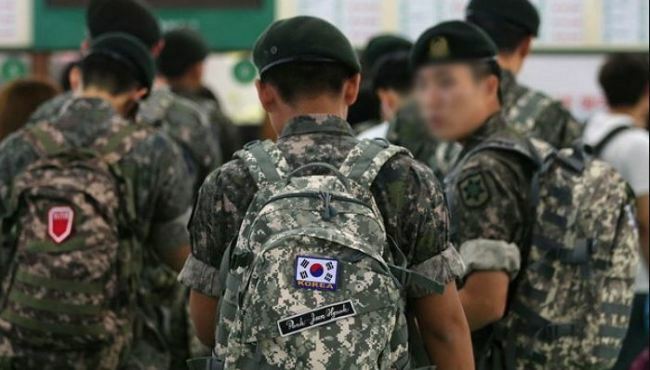 The military on Friday began to allow rank-and-file soldiers to go off base after work for four hours on weekdays up to twice a month, a measure to help them communicate with society better and ensure sufficient rest in advance of military maneuvers and drills, the defense ministry said. The implementation came after the ministry launched pilot operations of the measure in 13 military units in all branches of the military in August last year. "In the course of the pilot measure, we have seen no major problems in maintaining our readiness posture against military emergencies," he said. "There was no laxity of discipline nor problems in carrying out missions at individual units." Under the measure, troops are allowed to leave their posts after work between 5:30 p.m. and 9:30 p.m. They can apply for their off-base time to meet their friends and relatives, get medical treatment, study or for other personal purposes. For a soldier, going off base is restricted to twice a month, but there are no restrictions on the number of times a squad or platoon can go off-base as an reward. In the case of group activity, the consumption of alcohol off-base is permitted with the approval of a commander. Troops may only go to an area for which a military unit takes responsibility in terms of its military maneuvers. The number of soldiers going off-base, including those on vacation, cannot be more than 35 percent of a unit's entire force.